October 16th, 2010 , under ActionScript. 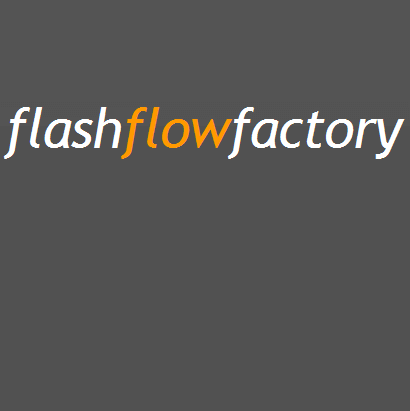 I am a bit proud to present you my first own framework: flashflowfactory. This mini-framework for actionscript 3 helps you to easily setup a flash website. flashflowfactory makes use of SWFAddress for deeplinking and TweenLite for transitions. When you need to create small/medium websites with deeplinking and basic transitions, flashflowfactory could help you develop faster. I mostly used it for custom projects like viral websites. The best of flashflowfactory is its simplicity (no need to learn hard design-patterns, it is really straight-forward if you know the basics). You don’t have to develop a page setup or start from scratch, but keep the freedom to build the site in your style. This is the first release. The framework is still under development, and I really need some feedback. Some example projects will follow soon. And after a while they fall back on something existing and start customizing that to their own need. I’ve been using http://www.gaiaflashframework.com/ for a while now (same basic principles as your framework, you should take a look at it if you haven’t already). And we have customized and extended the ‘framework’ with stuff we use for all projects and integrated it with the http://code.google.com/p/templelibrary/. Thanks for your reply. You are right there are lots of developers creating own systems. I think it is part of making personal progression, so it must be a good thing 🙂 I have seen Gaia, it has really great features and is well-supported and up-to-date. For now I think it is just fun to create + useful for the way I work. Hi! I think this looks great. More lightweight than Gaia, which I haven’t been using because of all the extra files. I look forward to checking it out.